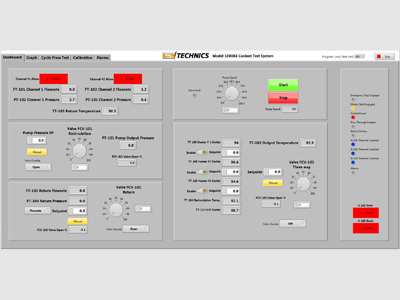 Technics has wide ranging experience in designing and building test rigs for the most demanding applications. 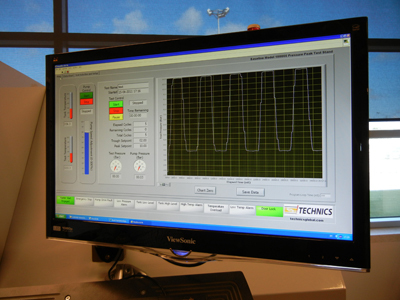 Pressure, Vacuum, Flow, and Temperature are parameters that are precisely imparted and monitored for performance, fatigue, and burst testing. Our test stands are designed for a variety of chemicals from deionized water to liquid fuels and solvents and can be designed for use in hazardous areas. 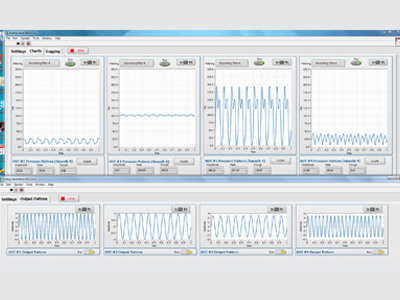 Most systems are based on National Instruments hardware such as CompactDAQ and Compact RIO using Labview software to provide a precision platform for analyzing processes and performing tests on a wide variety of subjects. 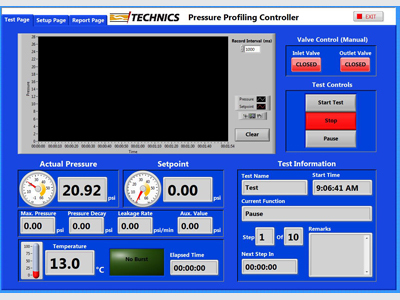 Burst Testing Systems can be retrofitted to your existing test bench and include programmable profiles for ramp & soak. They may also include leak testing at various stages up until burst. 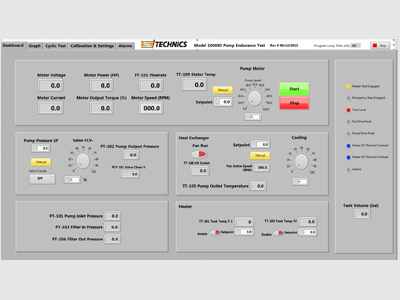 Pump Performance Test Stands analyze the electrical characteristics of the drive motor through variable speed drives while varying the temperature and pressure of the fluid stream. Our test stands will vary pump speeds and record the various parameters providing the user with precise and detailed data. 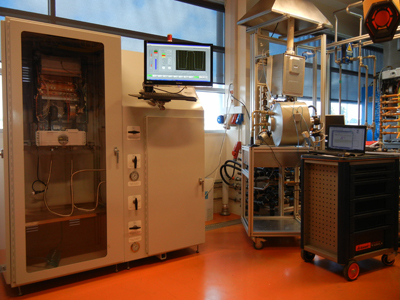 Pressure Fatigue Testing imparts both pressure and vacuum on small and large test parts. Frequencies are adjustable and can be as high as 100 Hz. 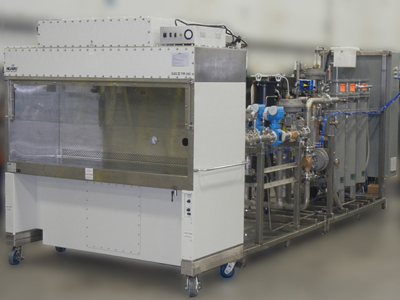 Our test rigs are designed to be very robust and will outlast the units under test by 100 fold. 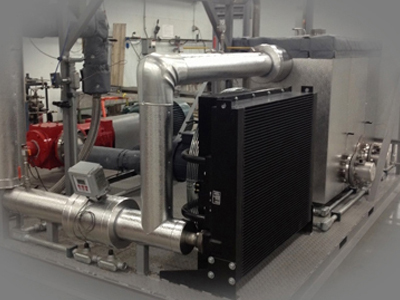 Flow Testing Rigs provide for controlled flow independent of pressure and normally included thermal conditioning for both heat input and removal. 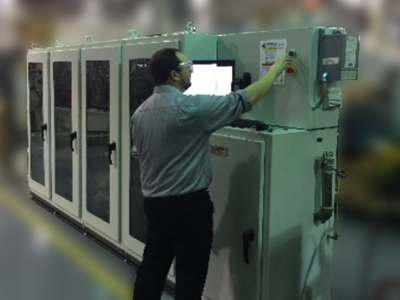 Precise temperature control is most often a requirement for these tests.